Beneficiaries are required to function as a unit through “Congo Love Clubs.” Students intern with Congo Love and share their time and talents to help build their local communities. The students develop a culture of discipline, excellence and integrity. Congo Love organizes workshops in local communities that feature educational film screenings and interactive discussions. The Lumumba Scholar scholarship recipients lead the film screenings and discussions with the aim of educating the masses about the bounty of the Congo and their role and responsibility in developing the country. The books and breakfast program feeds and educates orphans and street children in the slums of Kinshasa. The Lumumba Scholars lead the effort by mentoring the orphans and street children. They teach the children about the diversity and splendor of the Congo and instill in them their responsibility as future custodians of the heart of the African continent. The Lumumba Scholars work with local health clinics to strengthen their human and material infrastructure. In return, the clinics provide health check-ups at low cost to members of the local community who qualify for a grant assistant. 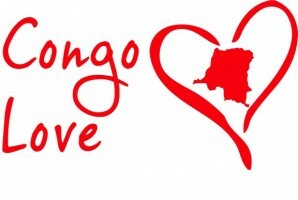 LUMUMBA SCHOLARS: Congo Love has secured 19 full-year scholarships for students in Kinshasa at various universities.